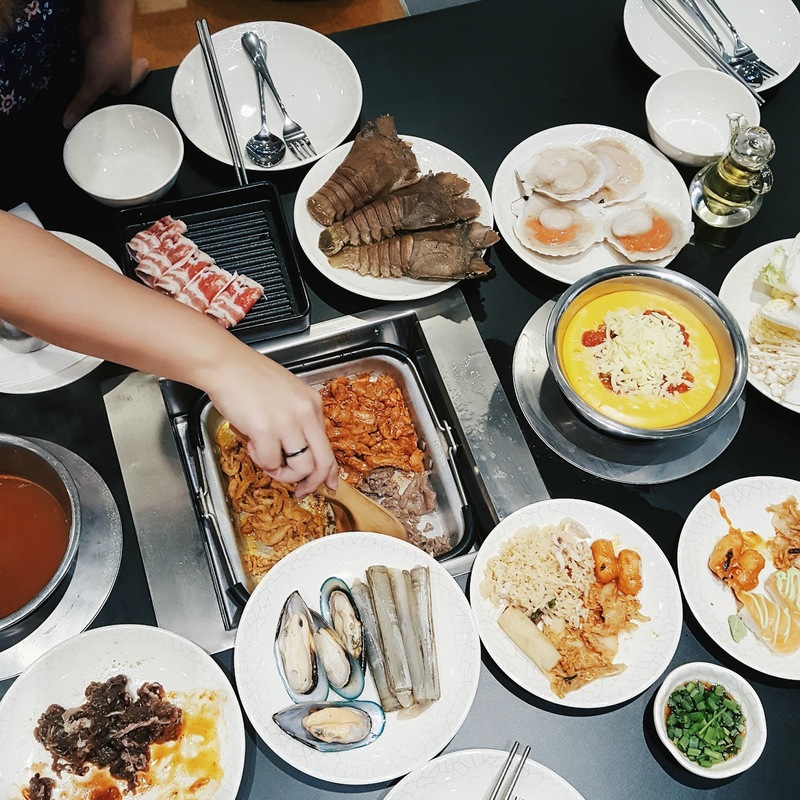 I still remember vividly the last time I went Seoul Garden buffet with my friends and all we had was steamboat with quite a limited range of food. But guess what, the new outlet in Habourfront was better than I imagined. 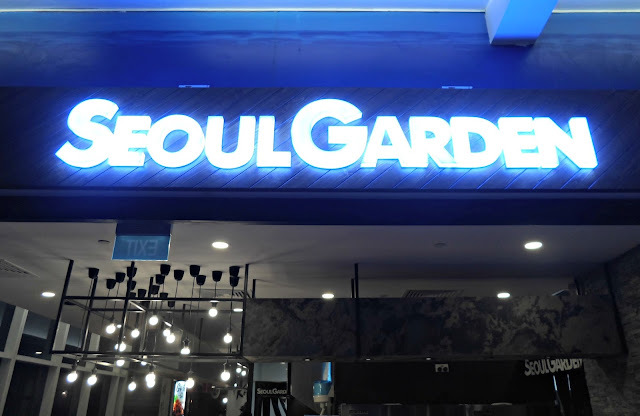 I must say Seoul Garden has really up their game and I really enjoyed the food & experience. Just look at the amount of food that welcome us!! With such a wide spread of food, you are definitely spoilt for choice. I had a difficult time trying to figure out what should I eat first because everything looks so good (and fresh too). Besides serving Korean food, they do serve other cuisines too so don't worry if you are not a huge fan of Korean food. And this is also the reason why I love this outlet because whenever people mentioned 'Korean food', the first thing that comes to my mind will be KBBQ. However, here at Seoul Garden, they did not stop at only the grilled meat but they have hot pot too! And look, they have this cheese pot for you to dip which is quite a trend right now I supposed. The cheese dip is unique here because they added some kimchi kinda ingredients inside (which explains the red colour) and I must say it taste so much better! You get to choose whether you want to have 2 hotpots or 1 hotpot & 1 cheese dip pot. Of course we have to choose the one with cheese dip. Since all of us can eat spicy, no doubt we ordered tom yum as soup base. So the next time you are debating with your friends whether to have steamboat or bbq, just get both at Seoul Garden. Thank you once again Seoul Garden & Tiffany for the invitation!